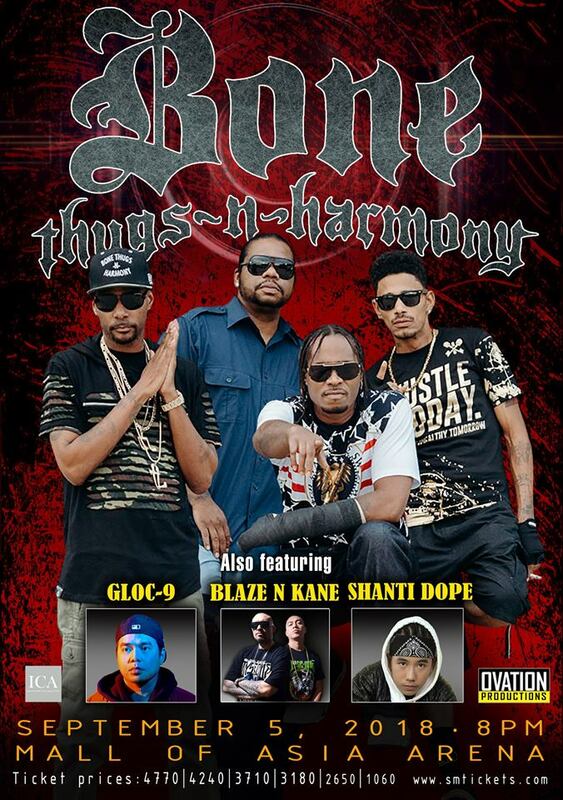 Grammy winner Bone Thugs-N-Harmony is scheduled to perform at the Mall Of Asia Arena on September 5, 2018 produced by Ovation Productions. The popular American hip-hop group worked their way into the music industry from the Glenville section of Cleveland, Ohio. They are best known for their fast-paced rapping style and harmonizing vocals. In 1997, the group was awarded the Grammy Award for Best Rap Performance with their song, "Tha Crossroads". Since its conception in the early 1990s, the group has been honored with other numerous awards. 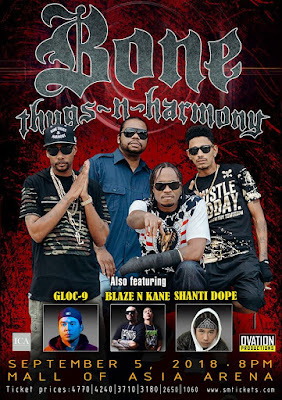 Bone Thugs-N-Harmony is also the only artist to do collaborations with Eazy-E, Mariah Carey, 2Pac, Notorious B.I.G., and Big Pun. This legendary rap group is broadly recognized as one of the most successful hip-hop acts selling more than 50 million records worldwide.